B.E.A.C.H. Center (Beach Enlightenment and Compassionate Healing Center) is a non-profit Co-Op collective The team is very proud of their selection of the highest quality medical cannabis, along with providing a professional, clean, friendly, knowledgeable, and safe environment for their patients. 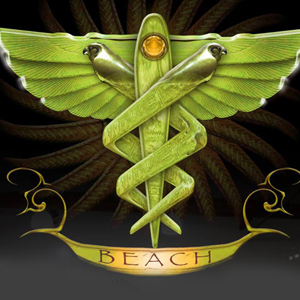 BEACH was created to provide holistic health solutions for people in the greater Los Angeles area. Through a collective effort their team is able to offer a wide variety of nutrients, medicines, and modalities that focus on natural and homeopathic remedies. Expect great products and services along with ongoing education about nutrition, body chemistry and everything else you need to know about cannabis as a medicine. At BEACH you can find anything from medical cannabis to rare all natural vitamins and supplements, ionized high alkaline water, complimentary physical therapy and massages, complimentary electromagnetic therapy, complimentary bio-health scans. As a patient you will also have access to yoga classes, acupuncture, and to a certified nutritionist. BEACH welcomes new members from Redondo Beach, Manhattan Beach, Hermosa Beach, Torrance, Palos Verdes, El Segundo, Gardena, and, other Beach Cities.